An amazing development in the world of drop shots and trick baits. It just can’t go straight! It ducks, dives, swirls, splashes, flies, flails…everything a seriously in trouble baitfish would be doing. This model called the Kob version, is rigged for maximum hookups. The super sharp 7/0 or 8/0 Baitholder is offset giving more hookups and the baitholder barbs keep your plastic in the right place for ages. July 2016 This fish was too tired to let go…so we ate him! 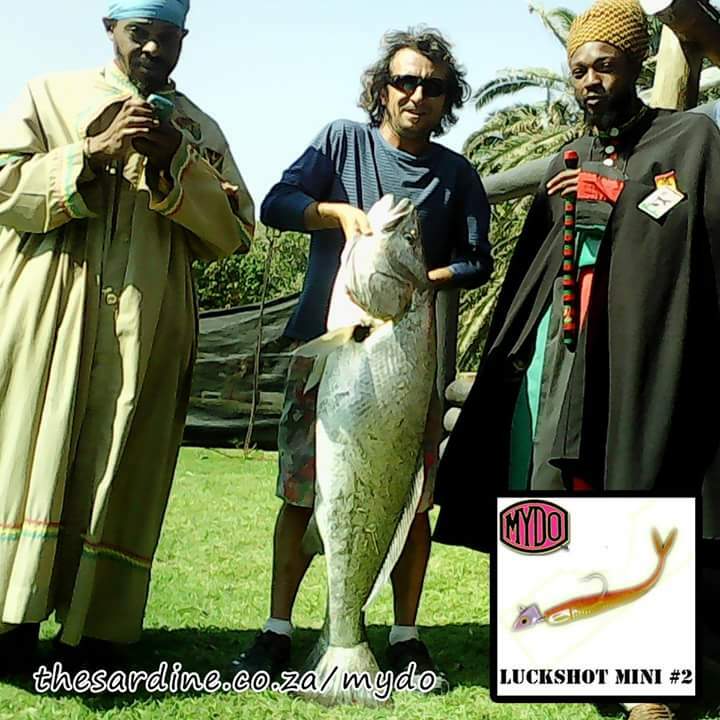 And it’s Chris Lepan again with another Umzimkulu Estuary kob.